Rotterdam is one step closer to becoming the next healthcare hotspot. 25 startups and 4 healthcare partners came together last Friday to brainstorm, network, make deals and find innovative solutions. 120 meetings and 4 pilot projects later, the city known as the gateway to Europe is on the right path to improve and modernize healthcare. This year’s Health Innovation Challenge was a huge success. 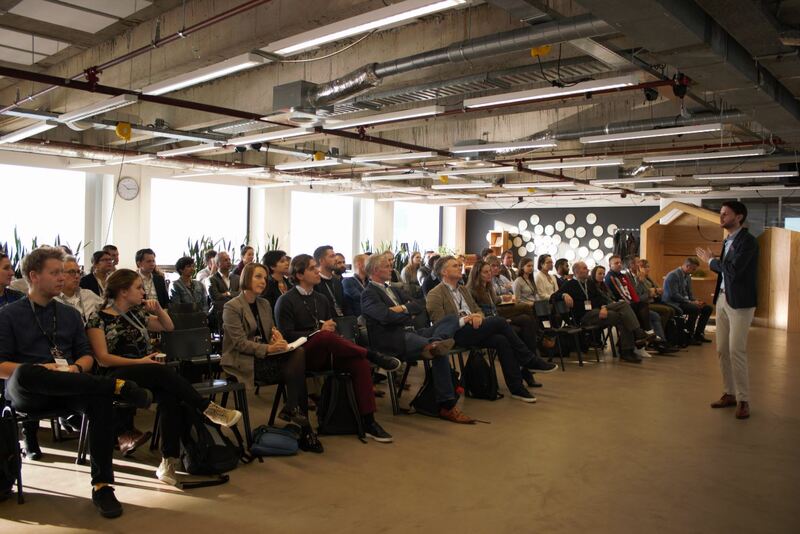 For the third year in a row, we have partnered with the municipality of Rotterdam to bring startups and SMEs closer to healthcare institutions to collaboratively find solutions to health challenges. The previous editions proved to be very profitable and this year was not different. 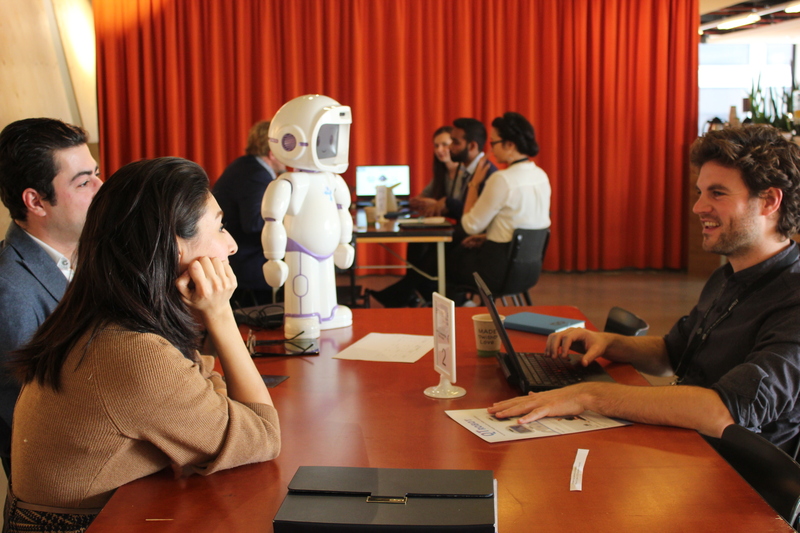 DoBots, Green Orange, Arbi Augmented Reality and Bingli landed the pilots with Enver and Garage2020; Dermahaven and ErasmusMC; Sportbedrijf and Kinderplein and will start developing projects in the next six months. 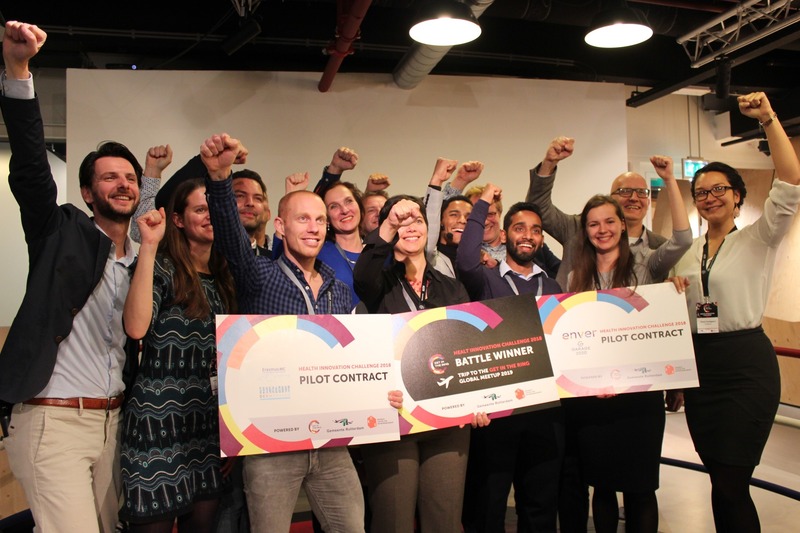 Although the purpose of the event was to choose startups to give a pilot project to, all of those who participated agreed it was about much more than only picking a winner. “It’s always good to share your ideas and be able to brainstorm with people. You may get inspired, you may rethink what you’re doing and it’s a great opportunity to discuss with the people who are working in the same field and have the same passion. We can contribute regardless of the final result”, said Aida Nazarikhorram, from LuxAi. Enver and Garage2020 were looking for an intelligent support tool that could help parents who require extra care, such as those with mild intellectual disabilities, for example, raise their kids in a structured, safe and healthy way. “We needed people to think and create with us, and also to build it and programme the software. We chose the winner based on the fact that they understood our creative and developing process”, explained Jacco Pols, from Garage2020. After talking to five startups, they chose DoBots, a developer in robotic solutions as the winner. They were very excited to start their collaboration. “We are a really good match, because they also like to work in an interactive manner, and we are working in the same way, so it’s perfect”, explained Reka Hajnovicsova, a robotics engineer in DoBots. They will have their first meeting this week, and together will work to develop a robot for parents that allows the kids can stay with them. Dermahaven and Erasmus MC were looking for innovative connection platforms and solutions in the field of machine learning and data analysis that provide insights in the referral process of family physician (huisarts/GP) to specialists, and supports the learning ecosystem in the field of dermatology. 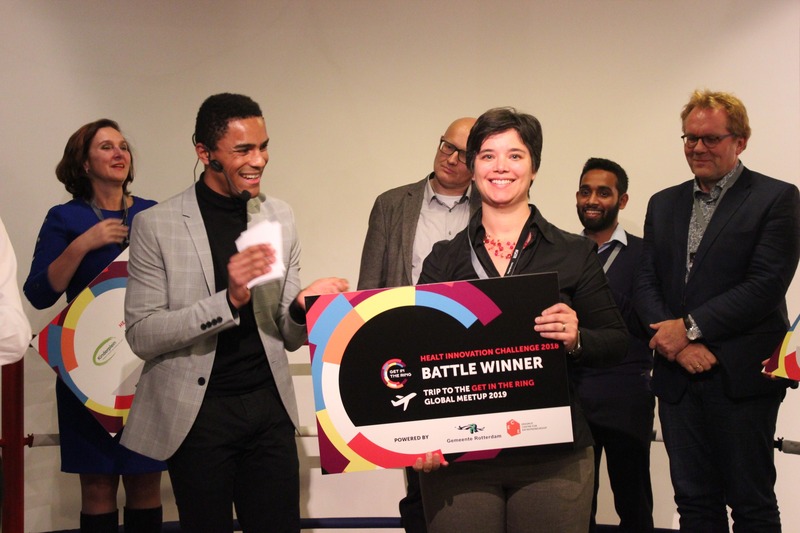 They chose Green Orange out of 7 startups they had meetings with as the winner, but Jan Willem Faessen, from Dermahaven, says they can work with all other participants. 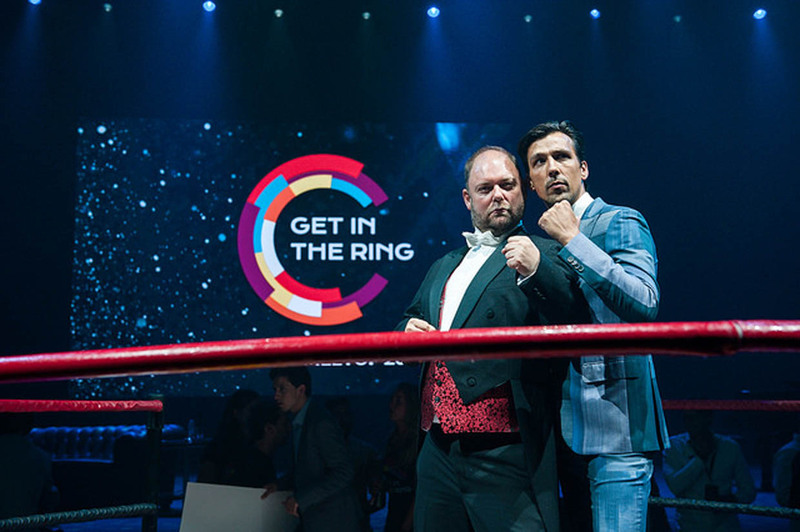 “The selection from Get in the Ring was pretty good. The highlight of the day for us was the moment we figured out that all companies we met could be of use for our project”. Green Orange is a strategic partner for business performances and they help businesses with their challenges from a digital perspective. Jon Scherphof, the lead business developer, was motivated by a personal story to apply for the Health Innovation Challenge. His father was not well diagnosed and went through a lot of pain, that is why he found it important to help better the diagnose that doctors and GPs can make. Sven van Munster, the chief data in Green Orange, described the experience of participating as a very positive one. “It was a really inspiring day. I had no idea of what to expect, but it was really cool, a lot of people willing to help make the world a little bit better. I loved it”. Sportbedrijf wants to make sure that every resident of Rotterdam lives close to a good, clean and safe sports location, and that’s why they needed solutions in the field of virtual and augmented reality to make sports accommodations more modern. And Kinderplein, a medical centre that provides healthcare for children and adolescents with learning problems, behavioral problems and developmental delay in a multidisciplinary team, wanted to improve the way they streamline internal data and questionnaire processes. The startup that landed the pilot with Sportbedrijf was Arbi Augmented Reality, that provides end-to-end solutions from idea-creation to a fully developed application. And Kinderplein picked Belgian startup Bingli as their partner in the project. Bingli is a platform to enhance communication between GPs and patients based on interoperability. The day would not have been complete without some exciting pitching battles. After a whole day having business meetings, networking and making deals, four startups competed for a change to go to the Global Meetup 2019. Balter Medical, DoBots, MediPrepare and Picoo Play battled it out for a ticket and Picoo came out the ultimate winner. 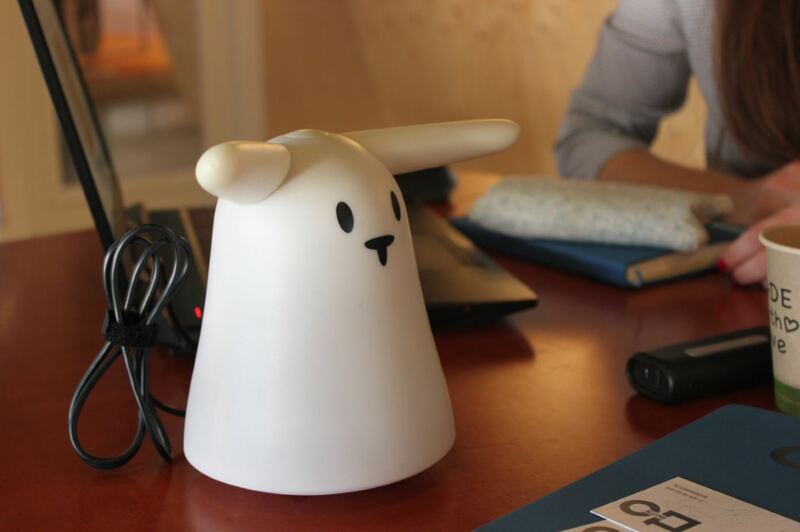 Picoo is a set of small devices for children. It is an interactive gaming platform in a no-screen handheld game console that stimulates kids to play more actively but still using technology, combining the best of both worlds. Iris Soute, the co-founder, had such a successful pitch that she managed to sell four sets by the end of day, helping her achieve get closer to her goal to market the product. All in all, it was a very successful and profitable day for both the corporates, who managed to find each one match for their project and several possible other startups to collaborate with, and also for the startups, who had a valuable networking and pitching experience and managed to unlock many possibilities.